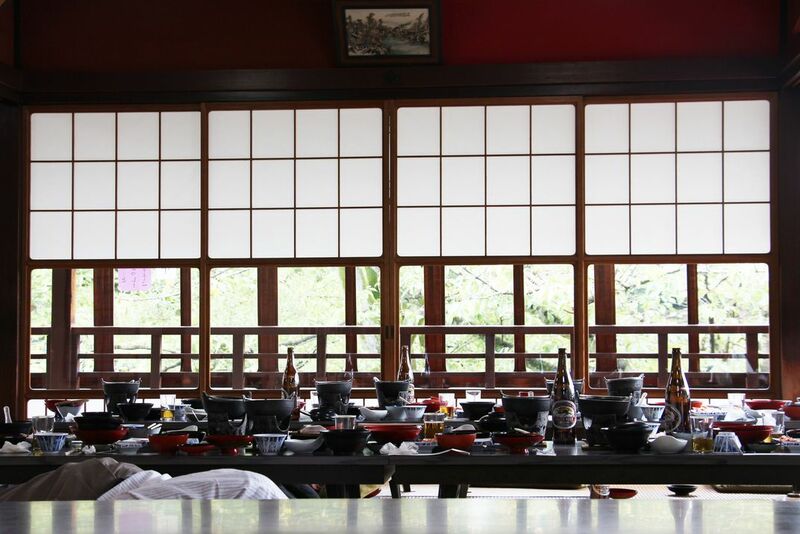 This is a photo of a finished lunch in Kanazawa, Japan where two men are napping after a full lunch. This restaurant had a magical feel to it as it reminded me of the animated film 'Spirited Away'. Date Uploaded: Nov. 6, 2015, 9:45 a.m.